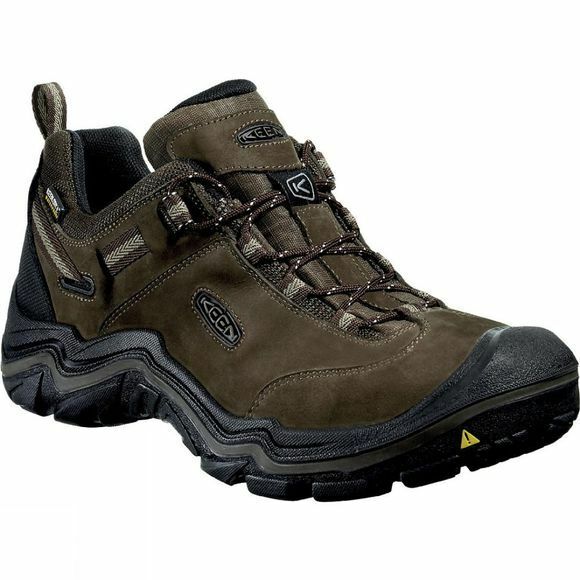 The Men's Wanderer Waterproof Shoe from Keen is a sturdy shoe for long hikes on tricky terrain. It is waterproof and breathable to ensure your feet have a comfortable environment throughout the day while the durable outsole will keep you on your feet. The protective toe rand is ideal for adding extra durability to the shoe as well as your toes to protect against those inevitable scuffs and scrapes.